Diplomatic ties between the US and British rap scenes have never been tighter. Last year Whoo Kid endorsed Klashnekoff, Giggs, Wiley, Skepta and Ghetts, meanwhile Beat Butcha got credits on Mobb Deep's comeback project Black Cocaine. Estelle is doing the rounds with her new album and has remixes with Busta and French Montana. K Koke was picked up by Roc Nation in 2011, but not before Tinchy Stryder signed with Jay Z's label the previous year. 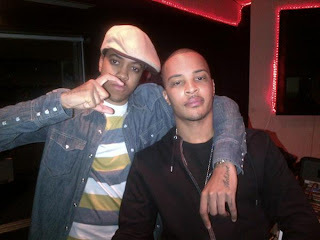 Now Chipmunk has signed the dotted line with TI's Grand Hustle imprint, joining Killer Mike, B.O.B, 8 Ball & MJG and fellow newbies Iggy Azaelia and Trae the Truth.